If you missed the original Merlin Newsboy release decades ago, here’s your second chance. 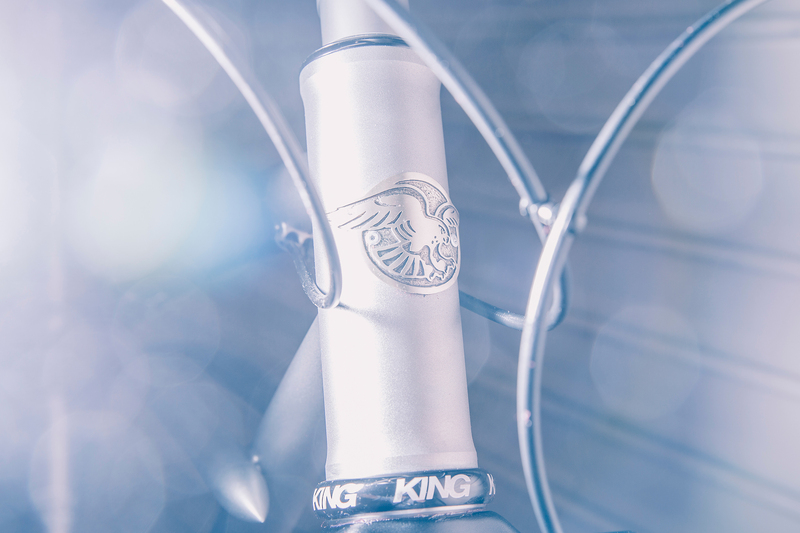 Now owned by Janus Cycle Group which also owns the like of Dean and Rossin, Merlin is ready to re-release a limited run of one of the metalwork’s most iconic designs. 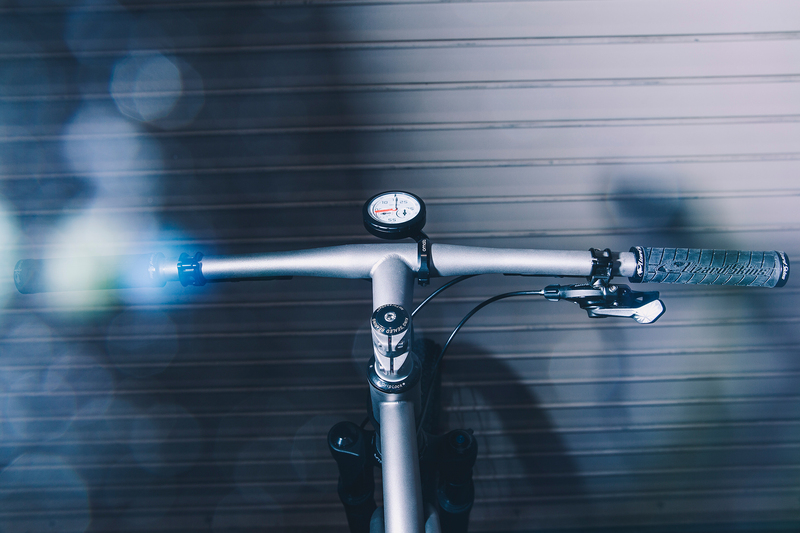 The curvy, cruiser-esque frame and standard dropout design remains, but the new Newsboy is now disc-brake and 29er wheels only. 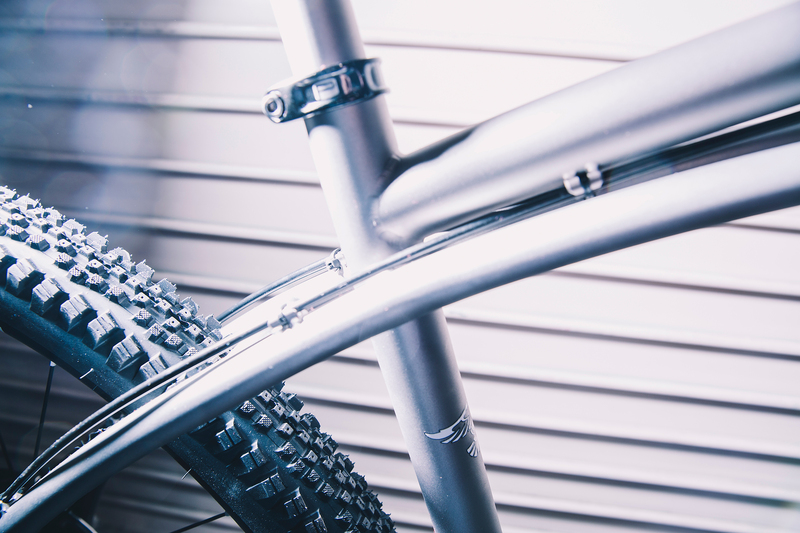 Besides the hand-curved curvy tubes, the 3/2.5 titanium frame also features plenty of bits, such as this oversized headtube sourced from Paragon Machine Works. 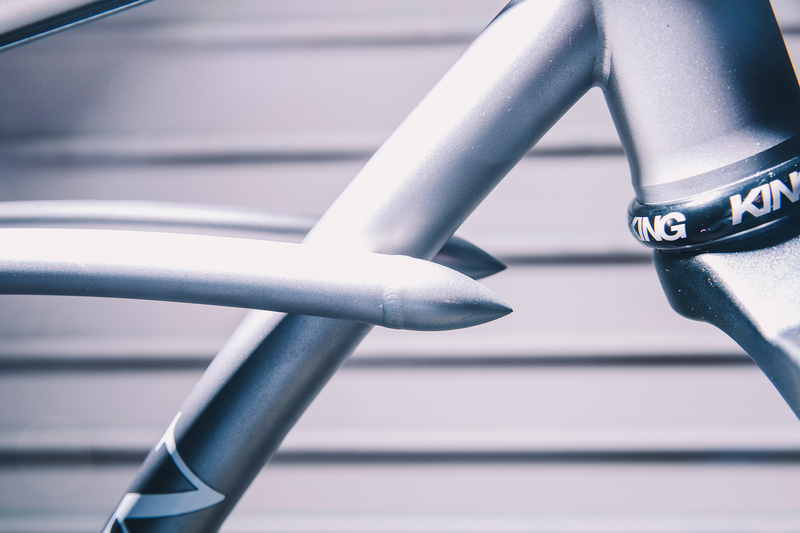 The show bike was built with this one-piece titanium bar/stem combo. No price (read: expensive) on the bar/stem combo yet but it’s so. darn. clean. 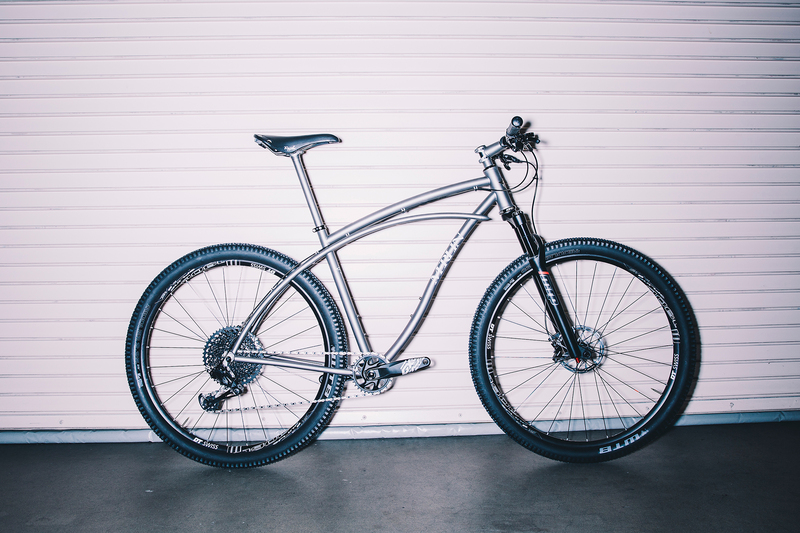 The Newsboy is available with custom sizing for $5,000 frame only. But don’t wait, only eight of these will be made this time around.